Tourism Vancouver is pleased to announce the appointment of Allen Liu to the position of manager, Sales & Market Development, Asia in the Leisure Travel sales division. Originally from China, Allen brings 15 years of hotel sales experience to his new role including positions at Shangri-La Qingdao, Crowne Plaza Qingdao, Renaissance Tianjin, Beijing Marriott West, Renaissance Beijing and most recently the Sheraton Vancouver Airport. 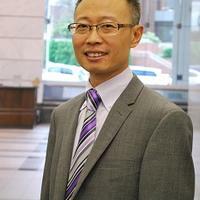 Allen holds a bachelor&apos;s degree in Tourism Economy from Qingdao University and is fluent in Mandarin and English. Allen will be responsible for growing visitor demand for Vancouver in China, Japan and Korea. His primary clients will be travel trade. Please join us in welcoming Allen to Tourism Vancouver!